A great climate and gripping landscapes are some of the reasons that Umhlanga Rocks accommodation is so very sought after. Just beyond the seemingly endless sugar-cane fields to the West of Umhlanga Rocks, you will find the famous Valley of 1000 Hills. To the East you'll find 200 kilometres of uninterrupted beach sand and the warm Indian Ocean. Umhlanga Rocks is situated just north of Durban, capital of KwaZulu Natal. It is so close that it may as well be a suburb of Durban. Because of its proximity to the city, it enjoys easy access to many amenities including some major transport routes. Umhlanga Rocks' other claim to fame is as the home of one of South Africa's largest malls, the jaw-droppingly large Gateway Shopping Mall. Umhlanga Rocks, as with much of the East Coast, has a subtropical climate, making it extremely appealing to visitors. For example, the ocean temperatures at the coldest time of year rarely drop below 20 degrees. As you'd expect, there are plenty of outdoor activities on offer. In Umhlanga Rocks you can try surfing, micro-lighting and deep sea fishing. There numerous golf courses within fifteen minutes of the town and whale and dolphin watching expeditions are popular in season. For adventurous travellers there are some world-renowned scuba-diving locations just off the coast. Back on land, some of KwaZulu Natal's finest game lodges are within an easy drive.This section of the Sugar Coast is lined with ocean-fronted rental apartments and hotels. The Umhlanga Rocks lighthouse is a relic associated with the area. The red and white striped construction still serves to warn ships about the dangerous rocky coastline. Perhaps the best thing about Umhlanga Rocks is that all that divides the coastal accommodation from the beach and sea is a neat promenade, perfect for taking an evening or early morning stroll! A quick look at our website will give you the information you need to make your choice. 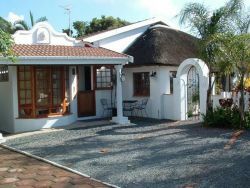 You will find reviews and you will also be able to compare prices and find wonderfully affordable accommodation in Umhlanga Rocks. 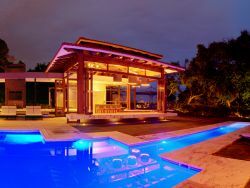 Are you planning the perfect getaway but have not yet found your ideal Umhlanga Rocks accommodation? By using our easy website, you can find great accommodation of all types, whether it is a cosy bed and breakfast or a comfortable lodge. We have thousands of easy to find listings for self-catering facilities, holiday homes, guest houses and hotels as well as backpackers, chalets, caravan facilities, villas and apartments, giving you a wide variety of options when it comes to your accommodation in Umhlanga Rocks. To help you find the right place to stay, we have a number of tools that you can use, including a map. This will help you to pin point exactly where you will be staying and it will show you the accommodation facilities that are closest to where you will be. Regardless of the reason for your visit to Umhlanga Rocks, we can guarantee that you will find the type of accommodation you are looking for. But reviews for Umhlanga Rocks accommodation is not the only information you will find. Want to know if your Umhlanga Rocks accommodation is pet-friendly or allows smoking? All of that information is included on the listings page. You will also be able to find which activities are on offer and the sort of amenities included with each room. All of this information will help you to make an informed decision before you make any payments to, giving you more peace of mind about your choice. 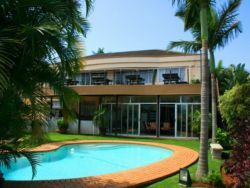 We include all of the contact details of the self-catering accommodation, holiday homes, guest houses and hotels as well as backpackers, chalets, caravan facilities, villas and apartments in Umhlanga Rocks which are featured on this website, so you also have the option of getting directly in touch with the place. 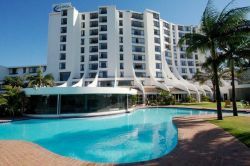 Regardless of where you are staying, we feature Umhlanga Rocks accommodation in that area of the province. You have options of Umhlanga Rocks guest houses, lodges and bed and breakfasts, among others, ranging from your more affordable, lower prices to your more luxurious options. So, you are not visiting for a holiday but rather for business and all you need is a place to stay for a night or two? The bed and breakfast options, as well as the lodges, are generally preferred by business people and you will find all types, from your more luxurious lodges to your simple, self-catering bed and breakfast. Each will give you a safe roof over your head while you are in the province. 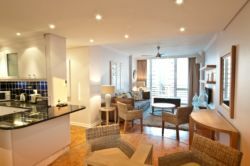 Umhlanga Rocks accommodation is not only affordable but well situated. If you are doing business in this area, this is a great accommodation choice. Spending more than a few days in the province? Perhaps you are indulging in a tour of the region and you are looking for a few places to stay? 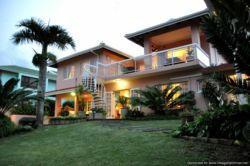 Browsing through our listed self-catering accommodation, holiday homes, guest houses and hotels as well as backpackers, chalets, caravan facilities, villas and apartments in Umhlanga Rocks will give you all of the information you need to make your selection. And once you have found the ideal place to stay, you can either request a quote or make your booking directly on this website. Sleeping-OUT.co.za is designed to make finding and booking accommodation in Umhlanga Rocks easier than your traditional methods of sourcing a place to stay! 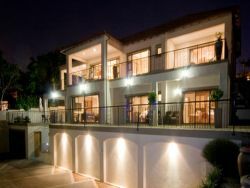 We include some great accommodation special deals in and around Umhlanga Rocks.